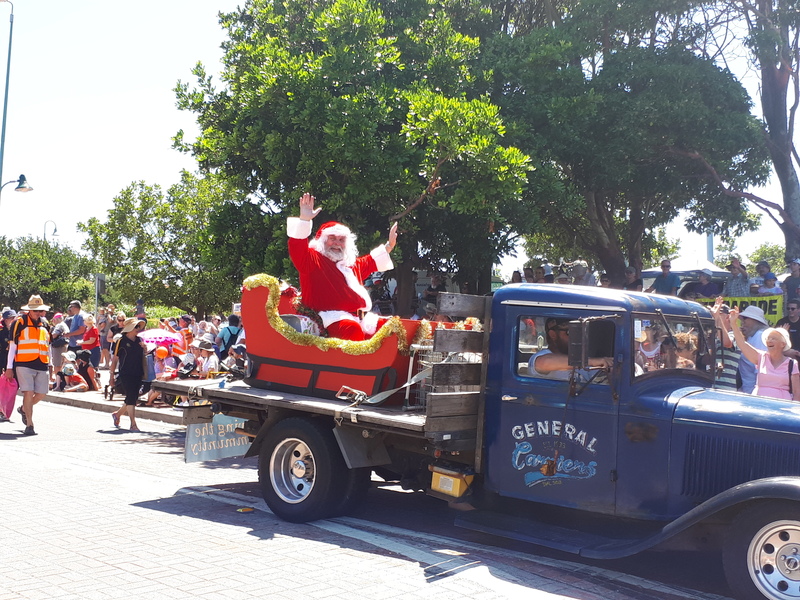 It wouldn’t be Christmas in Gerringong without the annual Street Parade, which is the only one that happens in our villages. Organised by the Rotary Club of Gerringong, the Parade coincides with their monthly Village Market, which will continue the festive theme. The Street Parade down Fern Street will have over forty local community and sporting groups participating, and feature colourful floats, pipe bands and classic cars. Of course, the true hero of the parade will be Santa, riding in the back of one of the classic cars. Buskers and local entertainers will be performing during the day in front of the Town Hall and in the adjacent Old School Park. Locals and visitors can watch the Parade along Fern Street, between Blackwood Street and Belinda Street, with the road closed during the relevant period. 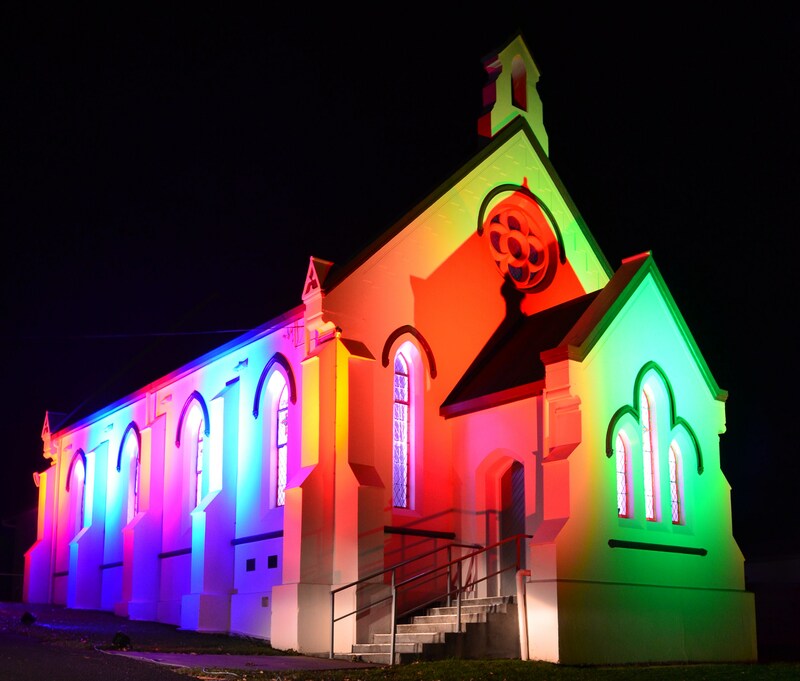 This Christmas Gerringong Uniting Church will again be spectacularly lit up in celebration of the birth of Jesus. 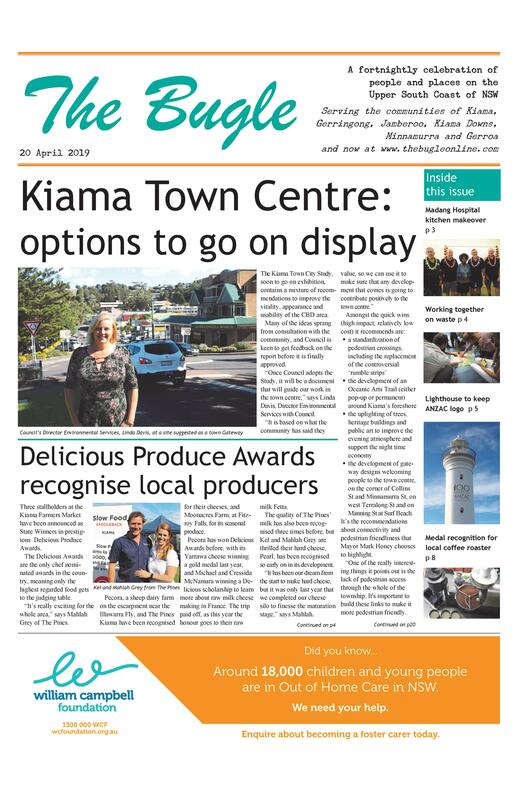 organised by the Combined Churches of Kiama. “After last years’ awesome, fun and interactive performance, we had to have Colin return for 2018!” says Rev Rob Buchan, Committee Chair and MC on the night. Colin will be joined on the program by school choirs and local artists, and there will be a visit from Santa. To add to the festive feel and encourage you to shop local this Christmas, businesses along Terralong Street are staying open late. Bring your family and friends, blankets and chairs and make a night of it. The Pavilion is available as a wet weather option. Details: Wednesday, December 12, at Hindmarsh Park, 7-9pm. The students of Jamberoo Public School are always the show stealers at the Jamberoo Carols. The Bandstand offers an ideal location to gather around to enjoy a summer’s evening of local entertainment, directed by Marianne Packer. Organised by the Interchurch group, one of the other highlights will be a performance by the Salvation Army Band. The theme for this year’s Festival of Carols is Christmas through Music and Art. A community choir will present stories and music, accompanied by pictures of works of art illustrating the Christmas story. There will also be an opportunity for the audience to join in with some familiar, favourite carols, as well as hear some less well known ones. Details: Sunday 16 December, Uniting Church Fellowship Centre, Manning Street, 7.30pm. Gerringong’s Carols service in the Town Hall is a Combined Churches event with an emphasis on showcasing local talent and on celebrating the birth of Christ in an all-age, family-friendly atmosphere. There will be musical items, a play, a Christmas message, lots of laughs with some audience participation, and of course everyone’s favourite carols. Electric candles will be on sale. Details: Sunday 23 December, Gerringong Town Hall, 7-8pm. A Quiet Christmas Evening offers an opportunity for you to come, however you’re feeling – frantic and frazzled, hopeful, expectant, weighed down with memories of faces gone from sight, fearful or full of joy – and share in an evening of beautiful music by musicians from the Jamberoo Chapel Sound Space and Kiama Jamberoo Community Music Association. There will be an opportunity to sing familiar carols and hear again the Christmas story. Details: Friday 21 December, Jamberoo Uniting Church, 7pm. Followed by supper.